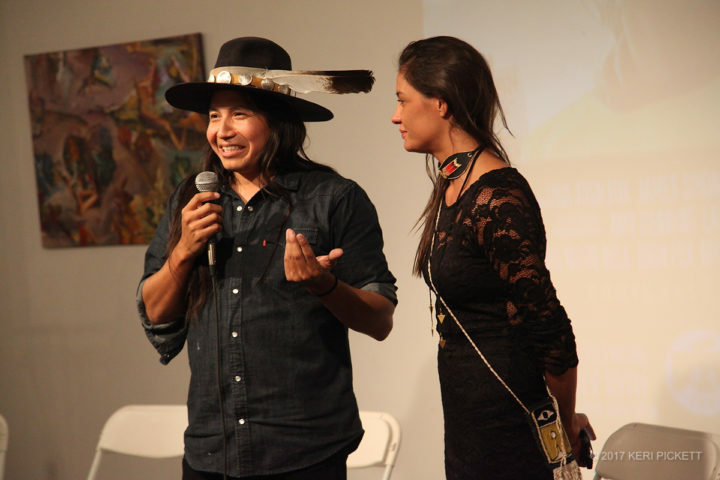 ZOHI Gallery screening of Awake, The Dream of Standing Rock with filmmaker and Digital Smoke Signal‘s storyteller and journalist Myron Dewey. LEHI and ZOE are the founders of the LEHI Gallery. The name of the gallery is their combined names as the vision is their combined vision to support indigenous artists.